I adapted this recipe from Food Network Magazine May 2012 edition - they featured restaurants that send their guests home with a tasty parting gift. 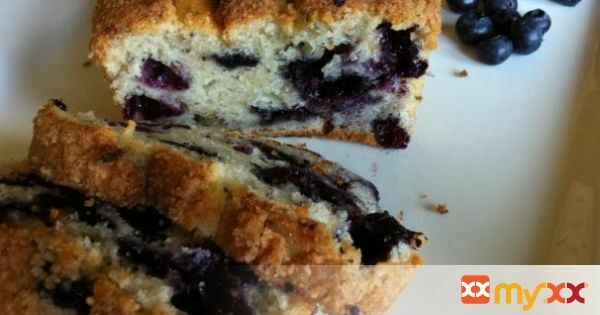 The Blueberry-Poppy Seed Loaf, featured, comes from Flagstaff House Restaurant in Boulder, CO. Their version is with gluten and dairy (of course, I would be shocked if it wasn't). It looked so delicious that I had to make one we can eat. Nutrition is always on the brain, I added chia seeds for their protein and omega’s along with all the antioxidants these blues bring to the table, pun intended, because I knew everyone is going to eat this for breakfast. So I needed to put the protein in, the texture was actually a nice twist to a traditional loaf.This loaf is so light and airy you will not believe it’s gluten/dairy free. This also makes for a lovely back-to-school teacher gift as well as a hostess gift. For a personal touch: bake the loaf in a pretty loaf dish that matches the color scheme of the hostess' kitchen, she will be touched. Enjoy!